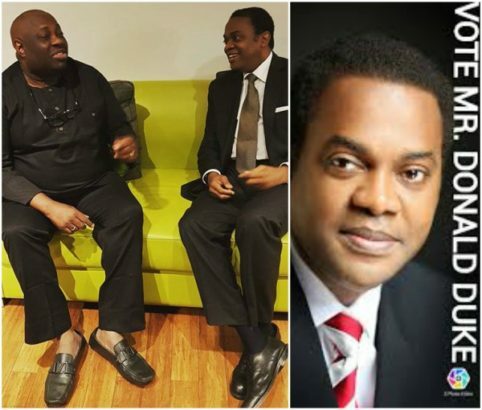 Former Governor, Donald Duke, has expressed interest in running for the Presidency under the platform of the Peoples Democratic Party, PDP. In an interview with Veteran journalist, Dele Momodu, the former governor said if given the chance, he will deliver on his electoral promises. He also stated that for the former ruling party to return to power, they “need to go to the field” with their best candidate. Duke said, “Our party is well-positioned to win the next election if we can change our style a bit and beat APC at its own game. We must take advantage and benefit from our experience since 1999. Despite our apparent mistakes, Nigerians can now compare and contrast us with APC. “What do we need to win the next elections? We must go to the field with our best candidates. We must learn from how we select our footballers. No one cares where you come from. Can you play well? Pronto. Duke further assured that the country’s fortune will turn around for good if given the opportunity to run the country. He said: “If I can get the ticket of my Party, I’m certain that with the support of our members and the youths of Nigeria yearning for urgent restoration of hope, we shall defeat APC. I’m certain Nigerians are anxiously waiting for a leader with proven record of vigour and excellence. “They will come out en masse to vote if they see such a candidate. And I promise to join hands with my Party to free Nigeria permanently from recession, oppression and depression.